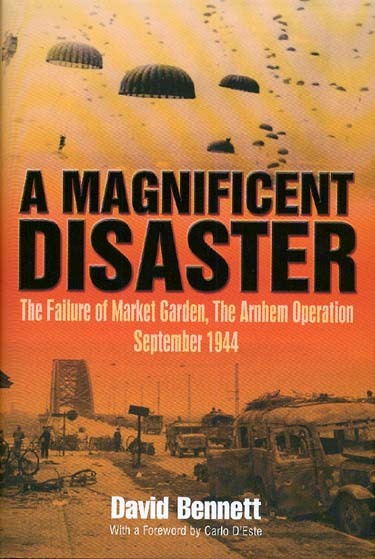 Welcome to Davidbennett.ca and Magnificentdisaster.com. This is the gateway page to detailed information on David's Recent Books. You will find brief descriptions and links to more information below. 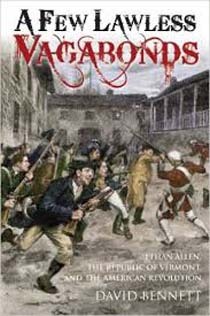 A Few Lawless Vagabonds: Ethan Allen, the Republic of Vermont and the American Revolution" by David Bennett is available at $32.95US from Casemate Publishing website under the Subject Listing: American Revolution. The Haldimand Negotiations had a thick background and context, explored in the book. One of the Allens' central aims was to gain recognition of land titles granted by New Hampshire before the British government awarded jurisdiction to New York in 1764. Ethan Allen and the Green Mountain Boys led the resistance to New York from 1770 onwards; negotiations with the British involved the titles to Vermont lands, an issue that thus lasted throughout the Revolutionary War. The attempts of the Allen family to maintain Vermont抯 independence from its neighbors were successful: they fended off their adversaries long enough for Vermont to become the 14th State in 1791. A Few Lawless Vagabonds is the first systematic attempt, using archival sources, to show that the Allens were utterly serious in their aim to turn Vermont into a Crown colony, a project which came close to becoming an open, public issue late in 1781. The Ethan Allen that emerges is not as a warrior hero of the American Revolution but as a successful Vermont nationalist who is justly celebrated as the principal founder of the State of Vermont, a rare combination of patriot and betrayer of the public trust. Ethan Allen had worthy opponents: the British leaders who were Ethan抯 opposite numbers were highly capable military officers and diplomatic negotiators: Sir Henry Clinton, Sir Guy Carleton and Sir Frederick Haldimand. These leaders ran an efficient spy network, His Britannic Majesty's Secret Service, Northern Department, led by a Loyalist and former Green Mountain Boy, Justus Sherwood, who also led the negotiations with Ethan Allen. .... no one will be able to write, give a presentation, or casually pontificate on Ethan Allen without using Bennett's book .... an outstanding work, a major contribution to early Vermont history and a must-read for anyone seriously interested in the latest research on Ethan Allen and his associates. David Bennett's "A Few Lawless Vagabonds" may be the best American Revolutionary War era book to come out in years .... a must-read for those with an interest in the period of the American Revolution. In sum, A Few Lawless Vagabonds has much to praise.燘ennett抯 command of the primary-source material from archives in Ontario and Vermont is impressive.燞is methodology of extracting goals from actions rather than assuming Allen抯 place as a hallowed Paul Revere-like figure is also laudable.燤ilitary historians will take an interest in his chapters on the seizure of Fort Ticonderoga and of John燘urgoyne抯 southerly thrust in 1777, which Bennett calls 搒heer folly� (p. 13).燞is analysis of the Haldimand Negotiations is the most exhaustive and compelling to date. In A Few Lawless Vagabonds Prof. Bennett (McGill), weaves together several little told but quite interesting stories to give us an informative and revealing look at one of the heroes of the American Revolution and that curious corner of in the Revolutionary War, the self-proclaimed 揜epublic of Vermont.敔 .... A very interesting book. At his best .... Bennett can be insightful, viewing Vermont's history with fresh eyes and offering original analysis. His research in Library and Archives Canada is a welcome contribution. "... coherently details the breadth and scope of the vision of the past 30 years to improve the health of working people and the communities in which they live. 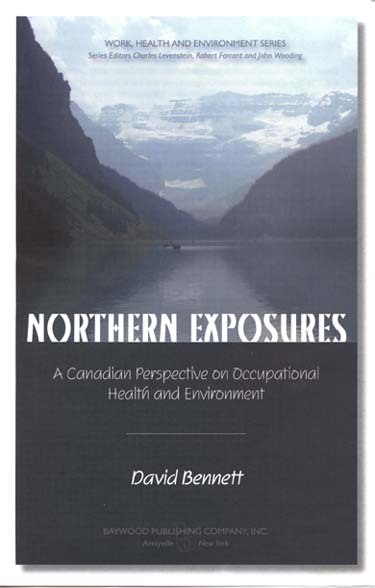 Making the connection between occupational health and environmental health, while easy in a conceptual sense, was a considerable challenge in a practical sense for many of the reasons Bennett presents. While Canadian provinces recognized limited rights of workers to participate in decisions about what went on in the workplace that affected their health, neither government nor business nor environmentalists saw those rights extending into the community. It is a credit to Bennett's vision and tenacity that he was able to extend that connection into concrete strategies and principles." 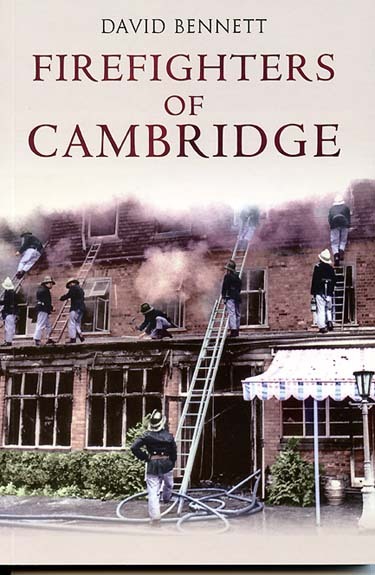 Firefighters of Cambridge describes vividly what it was to be a firefighter in this period; from the excitement of fighting fires and extricating people from road accidents and other emergencies, to daily life at the station, working and not working, the firefighters' union, moonlighting after hours, the mess, the sports and social club, the camaraderie, the conversation and the sense of humour." DAVID BENNETT was educated at Christ's Hospital School and Sidney Sussex College Cambridge, where he took history and philosophy. He holds a Ph.D in philosophy from McGill University. He spent much of his working life in the labor movement, ending his career in 2006 as National Director of Health, Safety and Environment at the Canadian Labour Congress. He is widely published in the areas of workplace health and environmental protection and has published several articles, op-ed pieces and reviews on the Second World War.